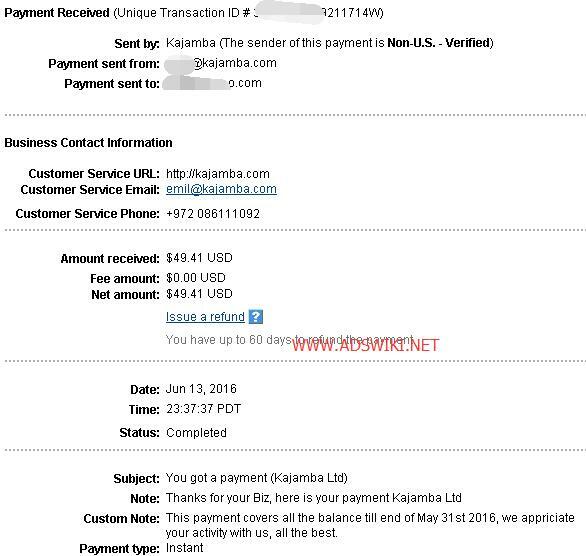 Kajamba(Closed) | AdsWiki - Ad Network Listing, Reviews, Payment Proof & Advertising News. Kajamba’s advertising network was built by, with and for publishers as an easy-to-use, self-service platform. We work with direct advertisers, ad networks, exchange and private marketplaces to offer our publishers the highest CPM possible for each and every impression. Footers, Banners, Sliders, Pops, Interstitials, Video and more. Optimized for Desktop or Mobile. We got it covered! As our publisher, you’ll get access to a variety of elegant, high-performing ad units and formats, designed to deliver one of the industry’s highest revenue per visitor. Minimum Payment: $5 on Paypal or Payoneer – $300 for Wire transfer. Payment Method: Paypal, Payoneer or Bank wire. hi,i want to sell my hitleap accounts,i can make 25millons minutes month. Anybody tried this Network ?